One of the great things about the Melbourne International Comedy Festival is that you get the chance to see shows like ‘The Little Dum Dum Club’, where comedians from around the globe are brought together in a more informal way and you get to see them mucking around and enjoying each other’s comedic stylings. ‘The Little Dum Dum Club’ is a live recording of the popular podcast. The setup is much like a talk show. Tommy Dassalo and Karl Chandler do their thing as hosts and then three guests are brought out one at a time – by no means do you have to be a regular listener to the podcast to enjoy the live show. 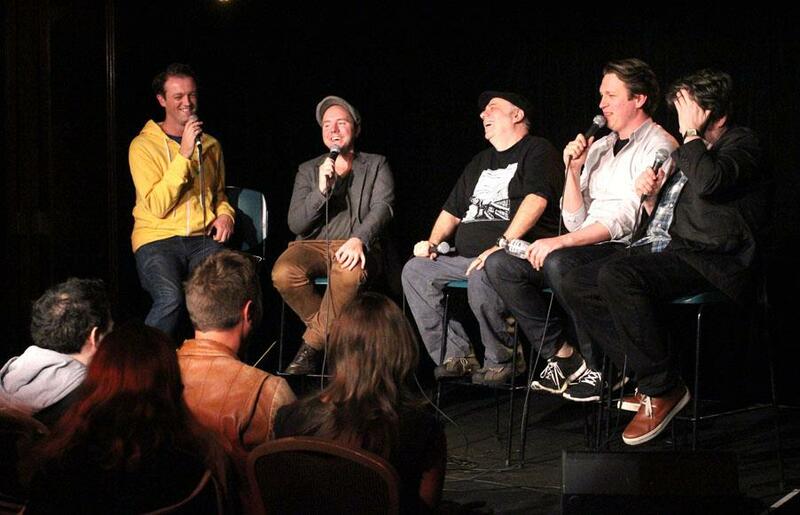 The boys have had some great guests on in the past and opening night of this year’s live show was no exception. Dave O’Neil was first out. As always, he appeared to be effortlessly funny, telling a story about how he dropped Rove home from a gig when he was just starting out. US guests Pete Holmes and Eddie Pepitone were great additions. Holmes near took over the proceedings, but it was certainly fine by the audience – the man is hilarious. Indeed, Holmes and O’Neil made for a great pairing – O’Neil’s laidback style was the perfect foil to Holmes’ manic energy. Pepitone was a little more restrained, having just flown into the country. He did impress, however, with his non-existent improvisation skills, letting the entire audience in on what floor he and Holmes were staying on at the Medina. Dassalo and Chandler work together brilliantly as hosts, Dassalo asking the questions and Chandler chiming in with perfectly-timed barbs. Of course, the show will be different every week, but if the quality of guests continues to be as good as opening night, ‘The Little Dum Dum Club’ is well worth checking out. Previous Previous post: Lessons with luis famoucity!